Happy Year of the Ram, Lamb, Goat, whichever one you prefer! Yes, it's the Lunar New Year!! 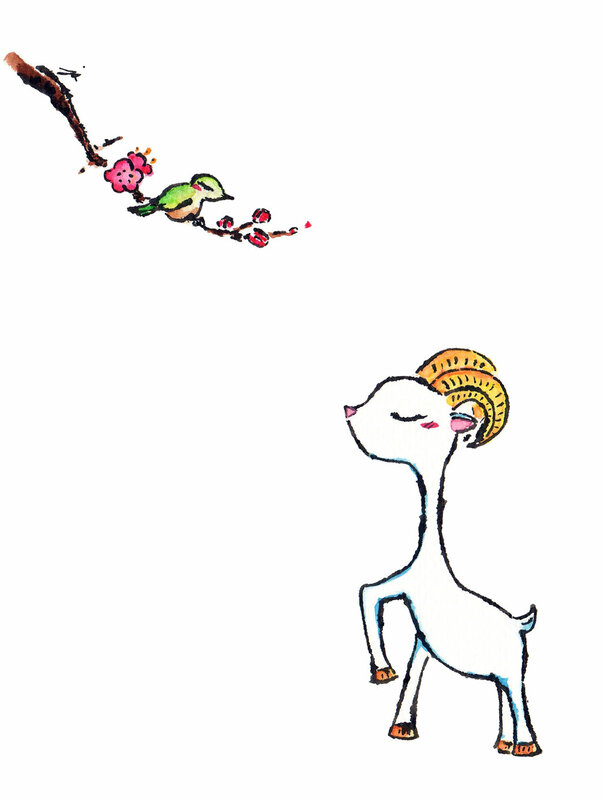 I chose to paint a long necked goat here, in contrast to the fluffy lamb I did earlier, with an oriental white-eye birdy perched on a plum blossom branch--all symbols of a joyful New Year. Wishing everyone All the Very Best! !